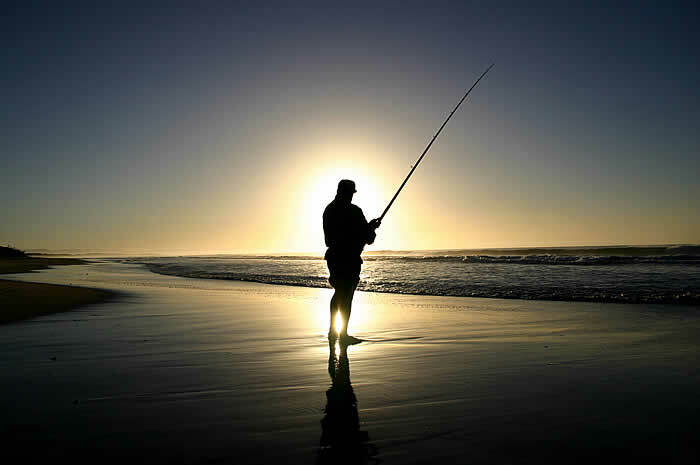 If you ask people of their hobbies then you will see that a large percentage of people are interested in fishing. For some, this is a mere habit developed over time whereas for some it is a throwback to their young days when their father used to take them fishing while some others like to catch their meal. The primary question that you will need to answer here is how you will catch a fish. The natural response to this question is by attracting the fishes with baits. Here are some of the things that you will need to consider when you delve into the world of fishing. One of the main equipment in fishing is the fishing rod which happens to be an integral part of fish baiting. In order to bait your fish, you need to know everything about the rod you are using. This is why we would recommend you to go for a versatile rod which will help you in fishing with different baits. It helps you to manoeuvre the rod as per the situation and the type of fish you are baiting. You will also need to be privy about the type of rod in terms of the bait you are using. For example, if you are the one who uses worms then you should know about the worm rod. Moreover, it is always preferable that you go for a rod which has a strong backbone. The reason is that it will enable you to draw a larger fish out of the water with relative ease. There are a number of different baits to choose from when you go fishing, with the most common bait being worms. Here you will see people using both real and artificial worms as per the choice of the person who is fishing. For the ones who tend to use artificial worms, it would be better if they know the different types of plastic worms as each type of worms have their own utility. Hereunder are some of the more common plastic worms that are used it fishing. Curly tail worm – The curly tail worm is perfect when the water body you are fishing has vegetation. Firstly, no matter whatever the vegetation is, the worm gives realistic swimming action which is more than enough to attract the fishes. Straight tail worm – This is considered to be the most versatile worm in the fishing world which is why you can use it anywhere you want to. All you need to be careful about is the temperature of the water you are going fishing in. For example, if you are going to warmer waters then go for a larger worm whereas for colder regions you should opt for a smaller one. A useful tip when you are going for worm fishing is to inflate the worm with syringe or other appropriate means. This will enable you to float the worm deeper and in close proximity of the fishes which will bring them into action and right into your hands. A very important part of fishing is the correct usage of fluorocarbons. Experienced anglers use this primarily because of the fact that fishes find it extremely difficult to see which gives them an obvious advantage. Moreover it gives minimal stretch which is why you will be able to transfer your energy directly on the hook sets. This plays a pivotal role in driving the hooks straight into the mouth of the fish which in turn allows you to catch the fish, especially the larger ones with relative ease. If you want to catch a fish then having the right sinkers can make a big difference. This is why we recommend tungsten sinkers which have a proven track record in the world of fishing. There are a number of benefits of using tungsten but you need to be cautious when using them. Firstly you need to check whether the tungsten weight has the insert or not because if it doesn’t then you might as well tell your fish good bye. A useful tip in using tungsten is insertion of shrink tubes in the tungsten weight itself. What it effectively does is that it keeps the sharper edges at a considerable distance from your line which will help you to fish better. If you look carefully then there are a number of mistakes we commonly make while fishing which we need to avoid. The first mistake that most people make is using a heavier line which is not good for the bait. The main reason behind it is the fact that the heavier lines, more often than not, end up breaking the fish. It is seen that smaller lines tend to have a lot more bites compared to the heavier ones. Firstly, the smaller lines are known to sink a lot better. In addition, it looks a lot more natural which is essential in fishing. Lastly, they are lot easier to reel in, a feature that any angler would want. It is true that understanding the bait is a tedious job but if you concentrate right, you will learn it soon enough. You need to be on your toes all the time and if you feel even the slightest tension you need to hook it in. Sometimes you will miss but this will help you develop an understanding of the tensions which will benefit you in the long run.